12 year tutor and 4 year math/science teacher. BA in math and physics, plus a MA in Physics Adolescent Education. For the last three years, I've been teaching all levels of math, physics, chemistry, and programming at Fusion Academy, a 1-on-1 private school, with an emphasis on AP physics and calculus. Teaching and tutoring has been my passion since high school. I used to tutor students after school because I loved to see that look of "ahh I get it now" on students faces. A decade later, it has become my passion and career. 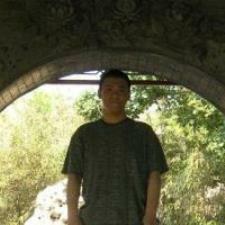 I mainly tutor four subjects: Physics (high school and college level), Calculus, SAT math, and C++ programming. But former students who have siblings or cousins struggling in algebra or pre-calc tend to come to me as well. The plan with my regular students is always: catch up then get ahead. We start by focusing on upcoming tests and quizzes, which means reviewing material leading up to the current chapter. After the time crunch period, we focus on learning ahead of the class. Very often, I can give the short version of a topic in 1h that a regular class takes 3 days to get through. The shortened time frame might imply less comprehension but it's just the opposite. By teaching the entire topic all at once, I avoid the all too often problem of disconnected knowledge, which is when students learn bits of knowledge but never comprehend how they connect. Rate details: $55/h for online tutoring $80/h for in person tutoring 2 Hour minimum for in person sessions. I've taught 4 computer programming classes at Fusion Academy. I minored in computer science in my undergraduate program. I minored in computer science in my undergraduate program. And I've taught 4 computer programming classes at Fusion Academy. He was GREAT! So Proactive! He is really on his game and enjoys what he does. He was a great planner and communicator. He really cares about his students and makes them at ease and ready to learn. My daughter misses him and trusted him as a teacher. Ze tutored my daughter with her AP Physics. He was relaxed, knowledgeable and very clear. He has a great demeanor and was able to help clarify the information she needed help with. We will be scheduling more tutoring sessions with Ze! great instructor, very proactive in addressing issues that may come up later in the semester and providing the tools to be successful. was able to come up with a quick lesson to reintroduce the material then examine specific questions. Very good review with my daughter - also followed up with a text to clarify a difficult questions they had gone through, Ze keeps the content interesting. Very patient and considerate. Zen really helped me understand my college Business math class. His hours were flexible as well. He even tutored me on the weekends as well if I needed the help. I would definitely recommend. Despite my being super stressed about this assignment, Ze broke everything down piece by piece and explained his thought process as we went through my code. This was honestly the most helpful session in C++ I've had with anyone yet. Highly recommended as a tutor! Ze was very interactive, patient and knowledgeable. He would ask me questions about why and how and if I didn't know it he would explain it. We went over the current topic of waves and back tracked to the lessons from the beginning of the school year. He had me do some examples with velocity and explained what I was doing wrong. My goal is for Ze to help me improve on all topics in preparation for the regents in June. Ze is a highly knowledgeable and likable tutor. He is also very patient. Ze always goes through the materials thoroughly. He teaches strategies and tips on how to approach questions. He has taught me to be more confident in understanding and solving problems. He has a good teaching style.